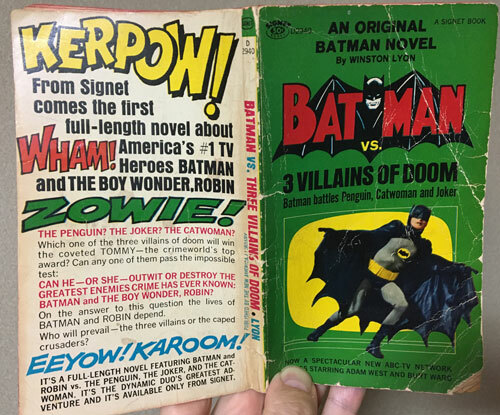 In 1966, Signet released the novel Batman vs. Three Villains of Doom by Winston Lyon. Like most Batman '66 tie-in merch, it was released very early in the show's run, which means that its ability to ape the show is limited. Lyon sometimes borrows from the comics to augment what he doesn't know about the show, and sometimes simply has to make stuff up. 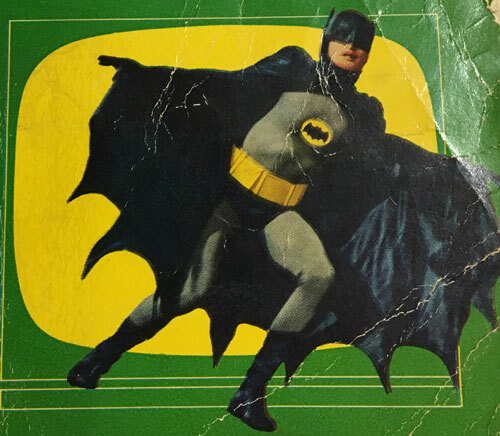 The novel deals with a contest between Penguin, Joker, and Catwoman to defeat Batman and earn the coveted Tommy Award. But wait — where's Riddler? And just who is this Winston Lyon, anyway? In this episode we look into those questions, discuss what is and isn't in line with the '66 show in this novel, and somehow even find time to go on a camping trip. Plus, the Nashville Five version of the Batman theme, and your mail!